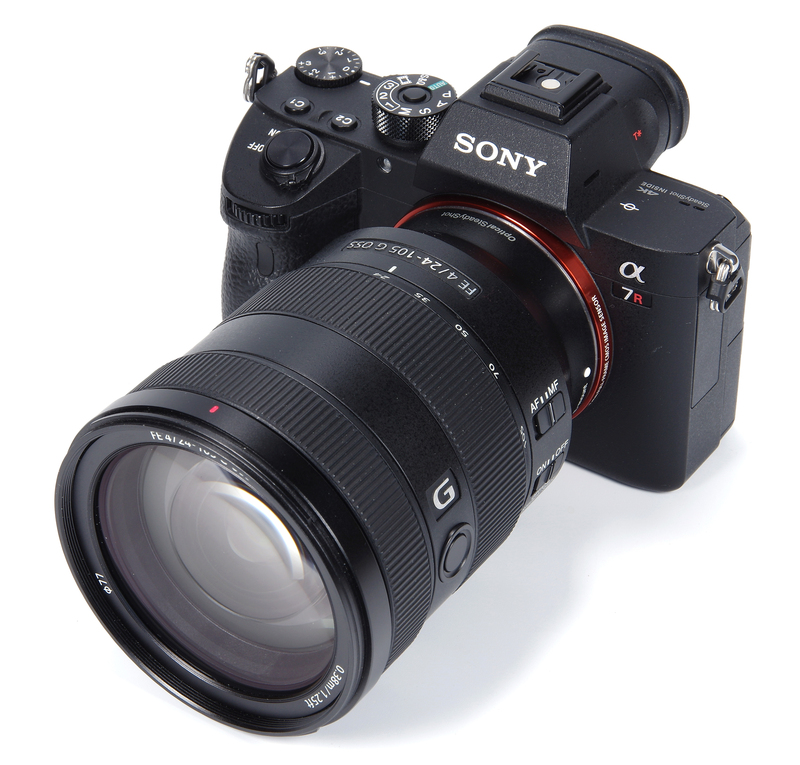 Intended for full frame Sony mirrorless cameras, although equally usable on APS-C format, this Sony standard zoom stretches to an ultra-wide 24mm and also has a constant f/4 aperture throughout the zoom range. These are useful features, so providing the performance is up to par then we could be looking at a winning specification. Let's have a closer look, using the 42mp Sony Alpha A7R III body, and see how it all stacks up. The lens sits well with the Sony A7R III, feeling secure and very much in balance with the proportions of the camera body. 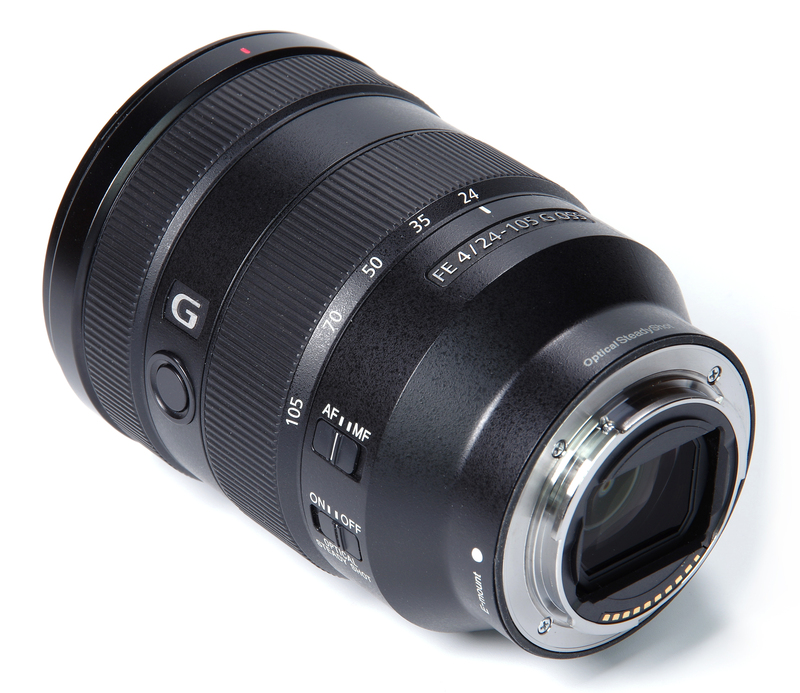 It's a solid combination, with the lens itself accounting for a not insubstantial 663g weight. A petal lenshood (ALC-SH152) is provided in the box, but this was missing with the lens sent for review. There is the usual bayonet fit for the hood. Within this is a standard 77mm filter thread. The front element is Fluorine coated to repel dust, moisture and grease and in fact the lens as a whole is dust and moisture resistant. Continuing our tour of the lens, as we move towards the camera body, we first find the manual focusing ring. This is electronic in operation and consequently very smooth in action. It is inactive in AF mode, unless the DMF setting is selected, in which case Direct Manual Focus gives us the ability to make manual alterations full time. 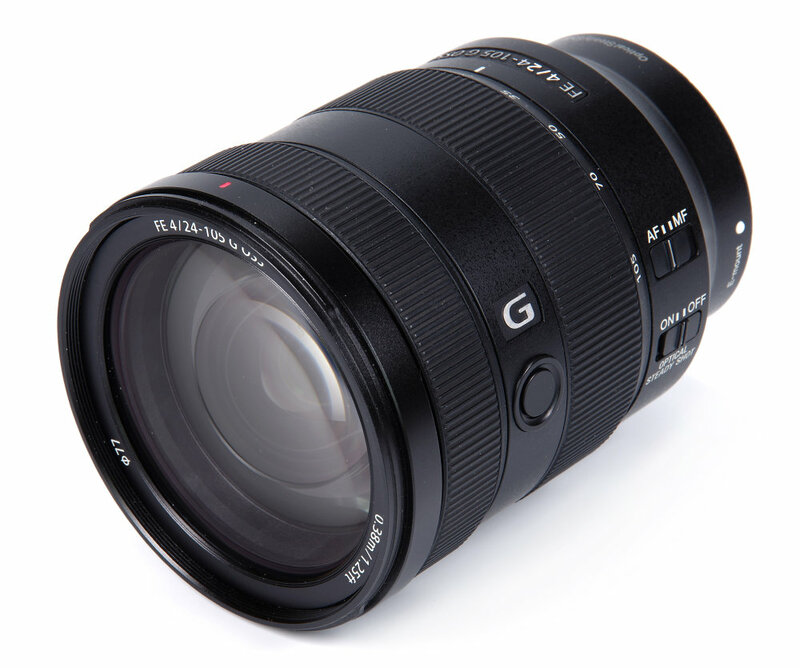 Focusing is down to 0.38m, or 1.25 feet, a maximum magnification of 0.31x. This is usefully close and increases the versatility of the lens significantly. Behind this there is a solitary button that is the AF hold, enabling the focus point to be locked. The zoom ring is firm, but not too firm in operation and is very smooth. It is clearly marked at 24, 35, 50, 70 and 105mm. Finally, there are two switches. The first is the AF/MF selector and the second the on/off switch for the OSS (Optical Steady Shot) system. The metal mount has the usual electronic contacts and a baffle to prevent flare affecting the images. The mount seems solid and well made and the fit is secure, with no play whatsoever. Optical construction is 17 elements in 14 groups, with Nano AR coating. There are 2 AA (Advanced Aspherical), 2 Aspherical and 3 ED (Extra Low Dispersion) elements. The aperture has 9 circular blades, to help produce smoother bokeh. In use, the lens is hazard free, operating logically and effectively. 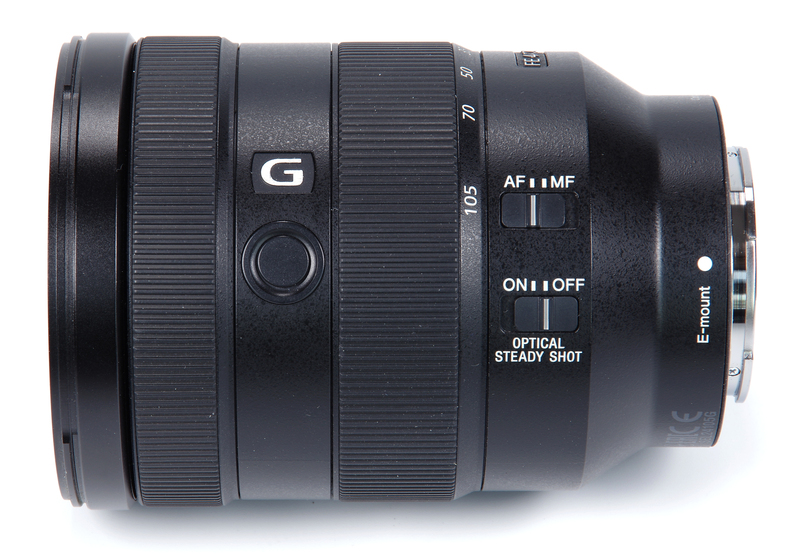 All the controls are placed well and it is a very versatile focal length range.